I have another classroom valentine idea for you today. 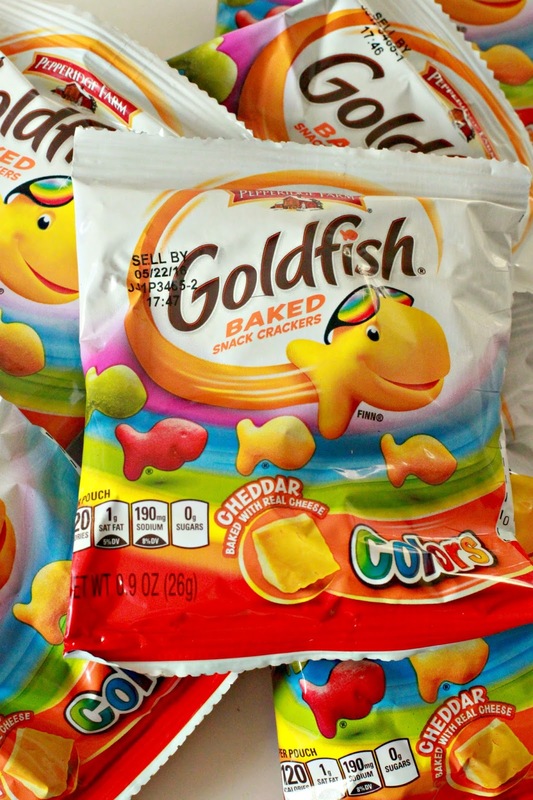 This O"FISH"ally The Best Valentine is not a new idea, but I made up a new tag. I used bright colors and fun fonts. This valentine is great for Goldfish crackers or Swedish Fish. 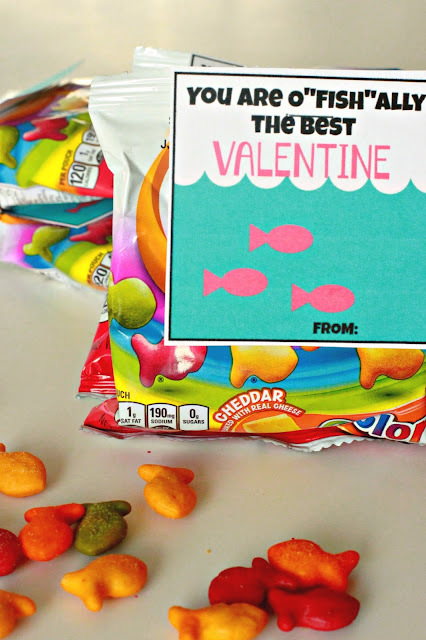 Since this little Valentine is for a bunch of preschoolers I opted for the Goldfish crackers. 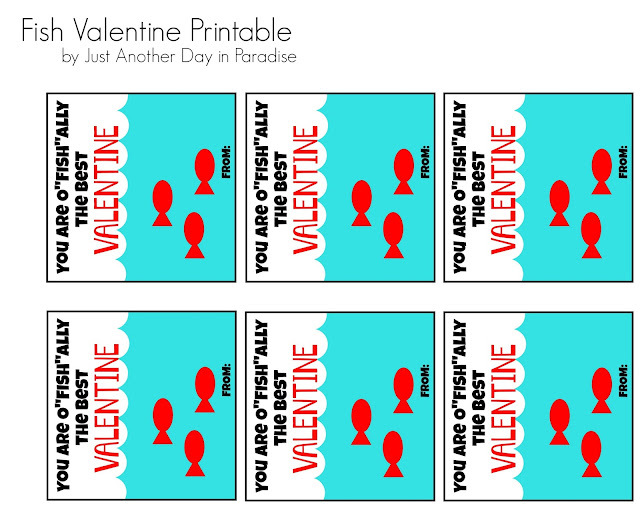 The printable is all ready and available for you to use. I cut out my tags and simply stapled them onto the bag. SO EASY!! 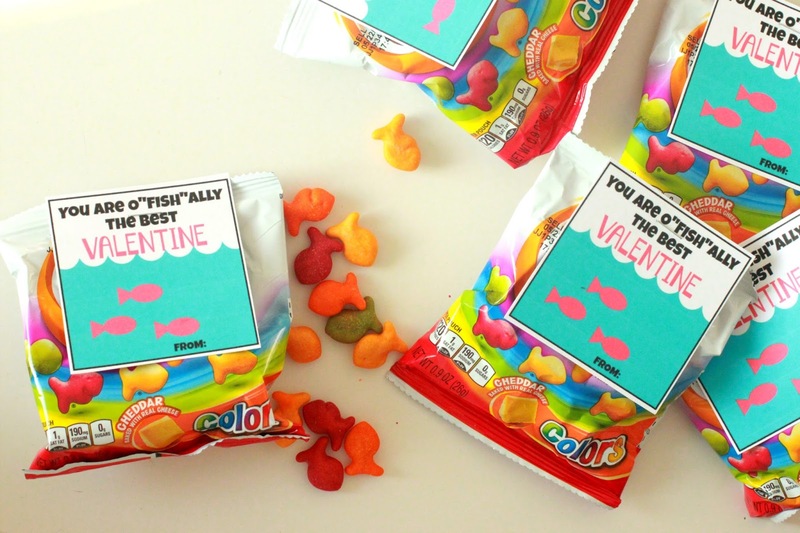 I have already shared our SODA The Best Valentine and our You're So Cool Valentine this year. I have one more to share and then our little clan will be all ready for Valentine's Day 2016.